The Afghan Collie, a cross breed between Afghan Hound and Border collie, was originally used as hunting dog in its native land. This dog belongs to the Hounding or Herding group. They are historically good with agility, obedience, narcotics detection, retrieving, tracking and sighting, which made them a good watchdog out on the prairies and farms. The Afghan Collie is a wonderful mix of an Afghan Hound and a Border Collie with a medium sized body and a long thick coat with talents in sighting, tracking, retrieving, detecting narcotics, obedience, and agility. These dogs are known to be friendly and energetic, but can also be used as guard dogs. The Border Collie is known as the ultimate sheepdog and the Afghan Hound is an excellent hunter so this hybrid breed is perfect for hunting and gathering. Both breeds date back to pre-1800s and which then made their way to America by the 1900s. While the Afghan Hound is a large breed, the Border Collie is in the medium sized group so the Afghan Collie is a mid to large sized dog. Because the Afghan Collie is a new breed, little is known about the history. 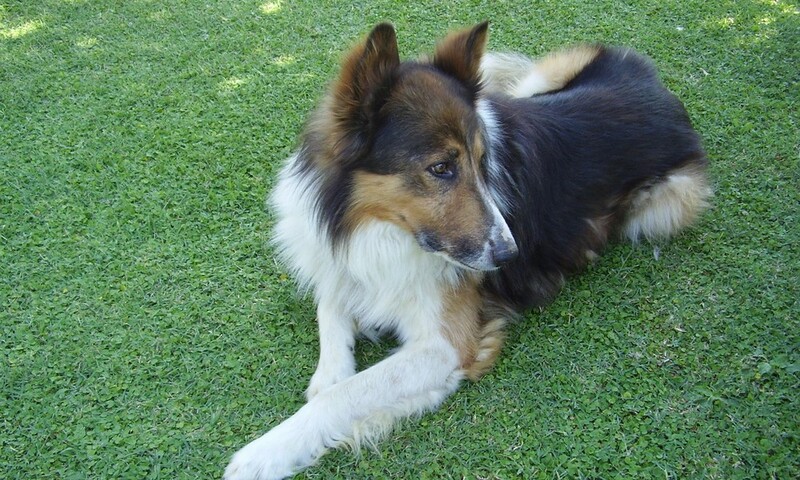 However, the history of the parent breeds can help determine the outcome of the Afghan Collie. The Afghan Hound started out in the Afghanistan mountains prior to the 1800s when it was discovered and brought to towns to help hunters track and capture gazelle and rabbits. The popularity grew over time but this breed was mainly seen in wealthy families and among royalty. The Afghan Hound was brought to America in the 1920s and was accepted by the American Kennel Society (AKC) in 1926. 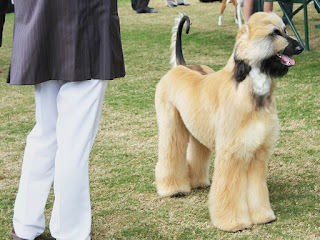 The breed became popular in the show ring for a while but lost its popularity since then. The Border Collie is thought to have been seen in wood carvings done by Thomas Beckwick from the History of the Quadrupeds sometime before the 1800s. During the late 1800s, the first sheepdog trial was held and won by a Border Collie named Hemp. The story states that Hemp was able to herd these sheep by just looking at them rather than barking and nipping at their heels. It is thought that Queen Victoria became fond of these dogs when she saw one in Balmoral. The standard of the Border Collie was established in 1906 with a heavy emphasis on their working ability and not their physical attributes. In fact, the breed was known as a sheepdog until 1915 when they were named Border Collies. The name is thought to be derived from the region they were first recognized, between the English and Scottish borders. However, they were not recognized by the AKC until 1995. They are an active, sociable and very friendly dog that make ideal family pets. With high intelligence, partly owing to its Border Collie influence, Afghan Collies are quick learners and actually seem to enjoy and relish the opportunity to be taught. They are lovable, clever, cheerful, high-spirited, with independent natures, getting along well with other pets and will even greet strangers with warmth and friendliness. This type of dog loves to play and enjoys long walks in the countryside, especially with its owner by its side. Being quite easy to train as they are obedient and have high energy levels and agile mobility. These dogs have a life expectancy of 12 to 14 years. They may fall victim to allergies, cancer and hip dysplasia, and may display a sensitivity to anesthesia. They could also develop chylothorax, a rare disease that causes a leakage of the thoracic ducts. Designer breed dogs have an average lifespan ranging from 7 years for dogs with many congenital health defects, up to 16 or 18 years for healthier breeds . The world’s oldest dog was an Australian Cattle Dog named Bluey, who was put to sleep at 29 years, 5 months. Larger designer breed dogs have a shorter average lifespan than small designer breed dogs. Due to their varied genetic makeup, mixed breed dogs are free from many of the health issues affecting purebreds—this is known as ‘hybrid vigor’. The most common health problem for large designer breed dogs is hip and elbow dysplasia. Generally, a designer breed will be most susceptible to health problems affecting its parent breeds. Designer breed dogs require the same general training techniques as their purebred cousins. Most training should be conducted as early as possible . Most important is obedience training—the process of teaching your dog to reliably respond to basic commands such as ‘sit’ and ‘stay’. Any situations your dog will face in later life, such as grooming and bathing, should be introduced as early as possible. It is important to employ a system of consistent rewards and punishment, as well as a wide variety of training methods to hold the dog’s interest. Positive reinforcement is generally encouraged over harsh techniques, which backfire in many cases. Some designer breed dogs will recognize the trainer’s authority immediately, while others require a fair amount of effort. Housebreaking techniques will vary by breed. The Afghan Hound and Border Collie are both incredibly intelligent dogs who do well with any type of training. The Afghan does have a bit of a stubborn streak but the Border Collie will do whatever possible to please its owner. They are loyal and dependable due to their sheepherding heritage and have always been excellent family pets and guard dogs as well. In fact, both breeds make good guard dogs due to their background in guarding the sheep. They are good with children but must be supervised and they tend to try to herd the younger children. It is important to socialize them to other animals early so they will get along well with other pets. Is the Afghan Collie the Right Breed for you? Moderate Shedding: Routine brushing will help. Be prepared to vacuum often! 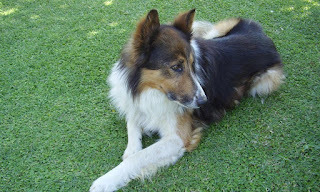 Moderately Easy Training: The Afghan Collie is average when it comes to training. Results will come gradually.